There’s a certain type of person who is more prone to overeat for emotional reasons. 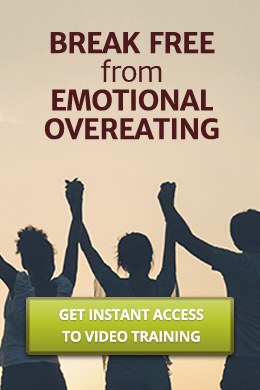 I’ve learned it through personal experience– and through almost 20 years of working one-on-one with emotional eaters. 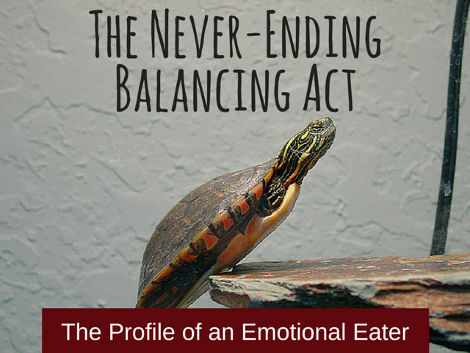 See if you fit the profile of an emotional eater…. No one is perfect, and we all make choices and decisions that we aren’t very happy with sometimes. When you’re working to overcome a struggle with binge eating, it can be easy to get upset with yourself and spiral down after eating too much or unhealthily. This is not the answer! Getting mad at yourself about it is only going to make things worse by tempting you to eat unhealthy again or binge to compensate for your unhappy feelings. Instead, take a look at these tips on how to forgive yourself and move forward and accept that it’s okay to take a wrong step here and there, as long as you stay dedicated to yourself and your heath. You know when you’ve binged or eaten things that aren’t good for you, and while at the time it will feel bad, you should recognize that this is actually a strength. Because you know what foods are better for you than others and what behaviors are healthy, you can help steer yourself towards those. You don’t have to keep yourself on a short leash to lose weight and be healthy. It is okay to splurge sometimes and enjoy food. Use your knowledge of what food you should be eating and next time, don’t fall to the trap that junk food presents. Stay strong and use your knowledge of what’s good for you to help yourself make better choices next time. Instead of spending valuable time and energy being upset with yourself for making a poor choice, decide that you don’t want to feel that way anymore, and resolve to do better next time. If you channel your frustration into finding ways to set yourself up for success in the future, you will not only avoid an emotional step backwards that leads to emotional binge eating, but also find yourself more determined to do better in the future. remember, it is always up to you and one choice does not define you. Tell yourself, “Okay, I made a choice I’m not happy with. I choose to forgive myself and work to make better choices next time”. By letting go of your negative emotions, you avoid binge eating that comes from being disappointed in yourself. No one likes feeling remorseful after eating. You can use this to your advantage! Next time you are tempted to eat unhealthy food or binge, remember how you felt last time you did, and decide not to make yourself feel that way again! On top of that, make changes in your life to help yourself next time. Bring healthy snacks with you so you aren’t tempted by fast food. Eat healthy meals at regular intervals throughout the day so you aren’t extremely hungry by the time you break for dinner or lunch. Drink lots of water and fill up on high protein and fiber foods that keep you full. The more you plan ahead, the more you can help yourself avoid those tempting situations. The most important thing to remember is that it’s worth it to be healthy and it’s worth it to make good food choices! You will feel better and lose weight naturally and healthier lifestyle that will lead to happiness. Forgive yourself when you make mistakes, and really throw yourself into doing better next time. If you stay dedicated to your goals and love yourself, you won’t feel compelled to binge eat after you make a choice you’re not happy with. Overcoming binge eating is a difficult challenge that takes time and dedication. Continue to work hard and make good choices for your health and happiness, and learn to let poor choices go and use them to fuel your determination to do better in the future.